Update 2: Two winners have been selected with the help of a random number generator. Congratulations to Grace and Dave! And thanks to everyone else. It’s just a few short weeks until Property of the State is released, but if you’re feeling impatient, here’s a chance at an early copy. Everyone who subscribes to my newsletter between May 16, 2016 and May 20, 2016 will be entered to win one of two ARCs of Property of the State. And to sweeten the deal, everyone who signs up will get a free download of my short story “The Missus”—a tale that bridges the worlds of Skin Kadash and Joey Getchie. Of course, you’re probably wondering what happens next once you’ve signed up for my newsletter. Well, you’ll get news, of course, and announcements. But also witticisms (hopefully witty), occasional round-ups of what I’m reading and why I think you should too, and special offers. What you won’t get is a lot of emails. My regular schedule will be quarterly, with occasional announcements of special events or appearances peppered in. I won’t fill your inbox every five minutes, and I also won’t sell or share your contact information. And, of course, you can unsubscribe at any time. The Fine Print. “The Missus” short story is available for free to anyone who signs up for the newsletter. 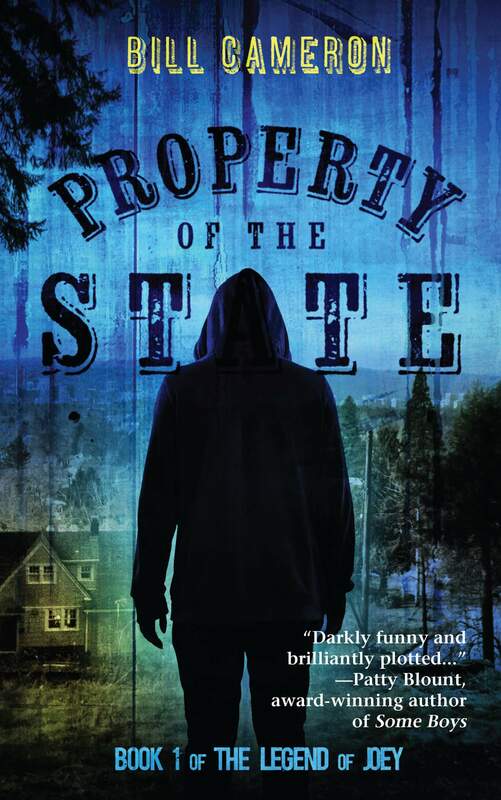 All subscribers between May 16, 2016 at 3:00pm PDT and May 20, 2016 at 11:59pm PDT will be entered into a random drawing for a copy an ARC of Property of the State. Two ARCs will be awarded. However, I can mail the ARCs within the United States only. If a winner lives outside the United States, I will arrange a credit for a free download of Property of the State on the winner’s ebook platform of choice when it becomes available on June 7, 2016. The Missus by Bill Cameron is licensed under a Creative Commons Attribution-NonCommercial-NoDerivatives 4.0 International License.